With new versions of its Watch GT smartwatch and a range of stylish smartglasses hogging the wearable limelight at Huawei's P30 smartphone launch, the Huawei Band 3 was largely ignored. 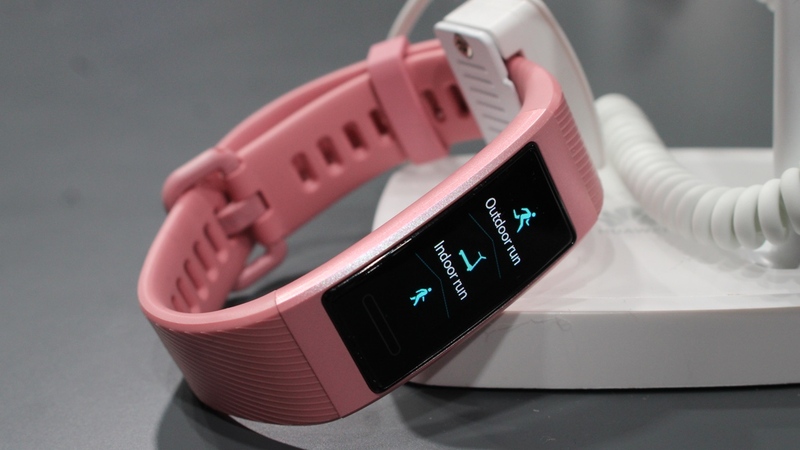 The company's new fitness tracker, which sits below the Huawei Band 3 Pro is more Fitbit Inspire rival than an alternative to buying a Charge 3. 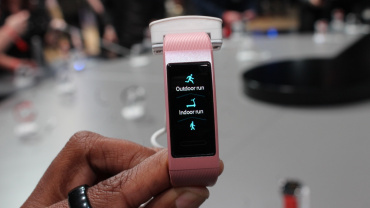 It doesn't have the built-in GPS or PPG sensor you'll find in the Band 3 Pro, but that's not to say that you're getting shortchanged with features on the Band 3. Huawei hasn't revealed how much the iOS and Android-friendly Band 3 is going to cost, but with the Band 3 Pro sitting in at $69.99, it's likely to be less than that. When you consider what this fitness band offers on paper, it has all the makings of a really impressive device. From a design point of view, there's not a great deal that separates the Band 3 from the Pro model. You've got your pick of red, pink, blue and black bands holding in place a 0.95-inch AMOLED touchscreen display. There's no physical buttons here at all; a touch-sensitive button baked into the display lets you navigate the displays. It's incredibly light, and while I anticipated the soft, rubber silicone bands to feel a bit on the cheap side, they are actually surprisingly comfortable - and quite fun looking. The 240 x 120 resolution display is perfectly acceptable on a band this size too. It's bright, vibrant and while it might not be class leading, I don't think many are going to have complaints about viewing their data on it. The screen is nice and responsive too, letting you slide and tap to trawl through the UI, which feels very similar to Samsung's Tizen OS. Around the back you'll find Huawei's TruSeen 3.0 optical heart rate monitor to offer continuous heart rate monitoring, and the band is water resistant up to 50 metres. That means you can go swimming with it, but according to Huawei you shouldn't wear it in the shower due to water pressure. It's unusual for it to be that way round, but there we go. You also shouldn't go diving, scuba diving and surfing with it either. 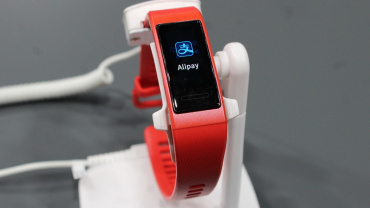 Beneath that silicone band and touchscreen display are some pretty standard sensors. You've got an accelerometer and a gyroscope to give you the basics, then there's an infrared wear sensor that Huawei incorporates into its TruSleep sleep monitoring tech. That sensor will apparently help to limit disturbances while you sleep. Without GPS on board, you're relying on the other motion sensors to track multiple sports that include outdoor running, indoor running, walking, cycling (indoors and outdoors) and free training. The waterproof design also brings dedicated swim tracking features with the ability to record calorie burn, number of turns, average SWOLF, distance, lap numbers, frequency of strokes and swimming speed. 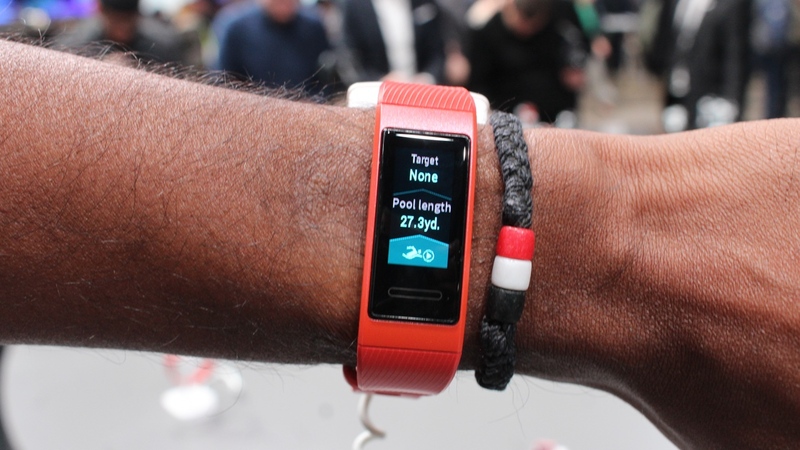 That's an impressive array of swim metrics for a proper sports watch, let alone a fitness band. Huawei's sports tracking goes beyond merely recording your workouts. 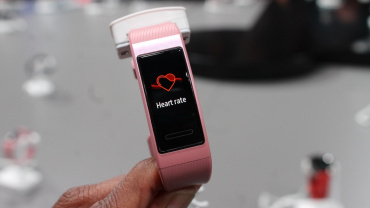 It also embraces analytics firm Firstbeat's post-training results and recovery time insights, which you'd usually find on more expensive fitness-focused wearables. It's not just about health and fitness either. The Band 3 also offers notification support, letting you view incoming calls, text messages, emails, calendar events and messages from third-party apps. 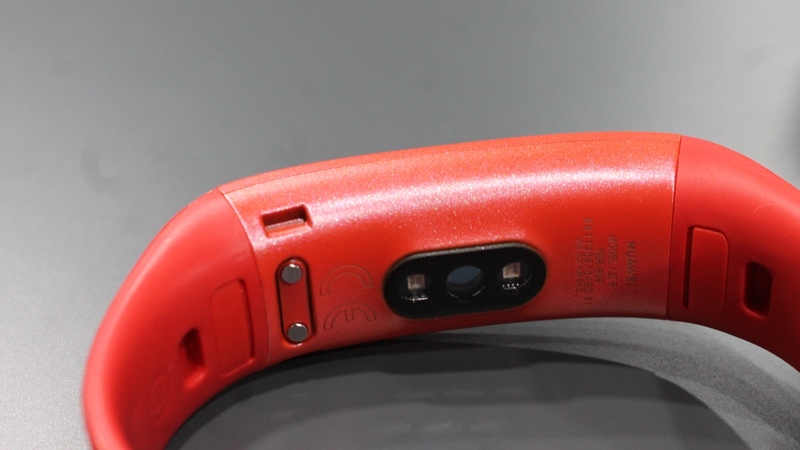 It also has the ability to locate your phone and will even work as a remote shutter for your smartphone camera. Like the Band 3 Pro, the Band 3 really is cramming in an impressive array of features into a slimline design. 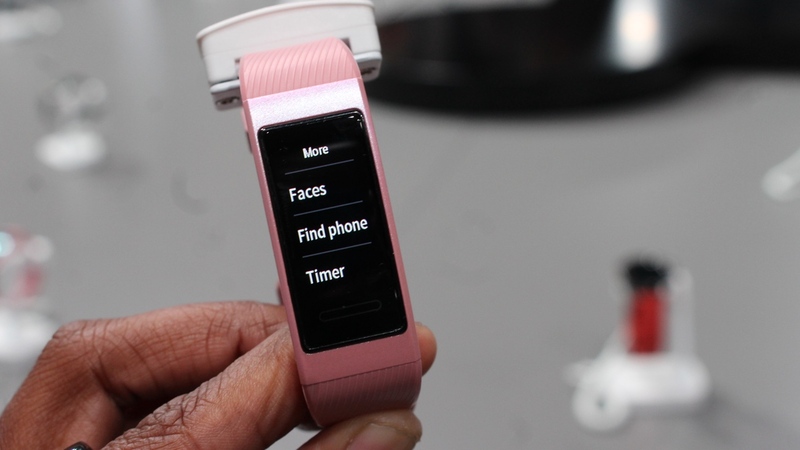 The kind of features that should certainly give it appeal to anyone who wants a mix of fitness and sports tracking and some smartwatch skills thrown in for good measure. If it's priced lower than the Band 3 Pro as we anticipate it will be, it could offer more for your money than what a budget Fitbit or Garmin tracker can offer. A lot though will lie with the software, which we didn't have the greatest experience with on the Band 3 Pro. You can have all the impressive hardware you want, but if what threads it all together isn't up to task, it's going to sink. If it's free of the same niggles and those sensors can serve up reliable data, then the Band 3 has all the makings of a great little fitness tracker.